Thank you to ITR Media for putting together this video of the Tasfa event held in Denver a few weeks ago. Thank you again to the amazing generosity of the guests who are making such a difference in the lives on orphans in Ethiopia. Please click here to see a short video from the event. I wanted to share this upcoming event. 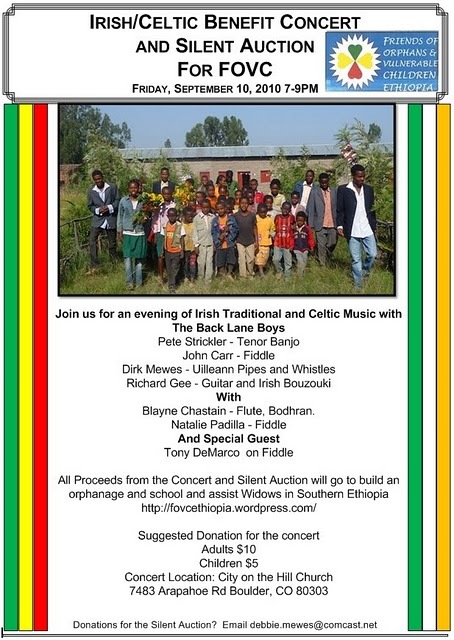 While Ethiopian Orphan Relief, Inc. isn’t affiliated with the event in any way, FOVC is one of our partners. We are so happy to know that other people are working hard to meet the needs of FOVC too. If you are in the Boulder area next weekend, please make plans to attend. 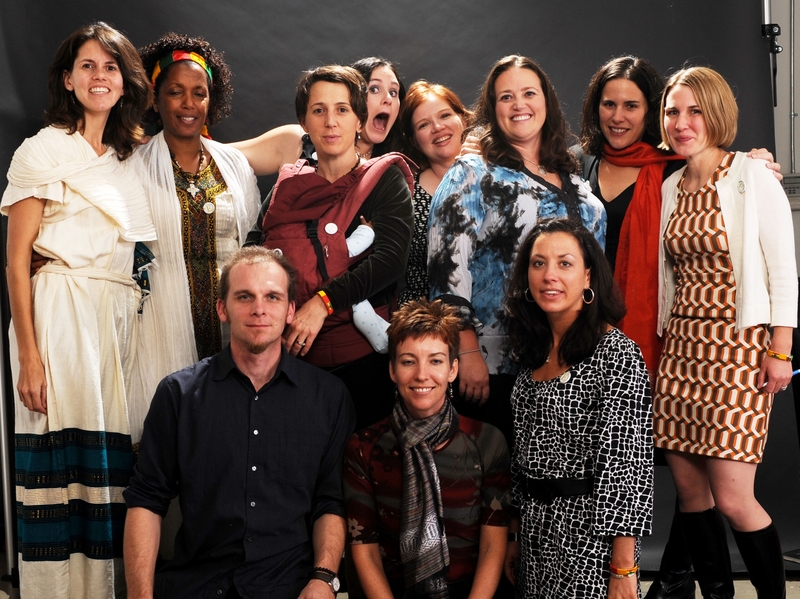 Last year we were pleased when Shawn Rodda lent her expertise and considerable organizational skills to our first Art for Ethiopia event in Denver. We were even more pleased when Shawn accepted our invitation to join Ethiopian Orphan Relief Inc.’s board. In the coming weeks, she’ll be adding her own stories to EOR‘s blog, but I wanted you to meet her first. Shawn is a construction and real estate attorney based in Boulder, CO. She received her undergraduate degree from Penn State University and her J.D. from Tulane University School of Law. 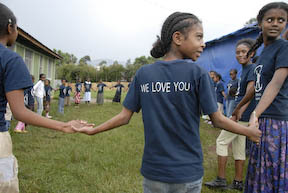 She and her husband, Justin, brought home their daughter,Lidya, from Ethiopia in May of 2008. In addition to Lidya, Shawn and Justin are parents to Nittany, a ten year old Golden Retriever. Shawn in an active member of the Colorado Ethiopia Adopt group, and enjoys hiking, camping, skiing, playing with Lidya, and all things Ethiopia. She continues to serve on our Art for Ethiopia committee, and along with Katie Bell, Shawn is a member of our grant team. Thank you, thank you for joining us Shawn. Your plate was so full before you joined EOR, but you’ve managed to squeeze us in too. Go wonder Woman, GO! If you live in the Denver metro area and have an Ethiopian child whose hair you would like braided, please join us on Wednesday, June 17th at my home in Evergreen from 10am-12:00pm. We will be hosting Kidist, an expert hair braider and teenage adoptee from Ethiopia, who has started her own hair braiding business. Her mom Sally will be bringing Ethiopian food. The cost per child is $20. EOR has provided canvases and art supplies, and we will have an area for the children to create art for EOR’s art contest while they wait their turn for braiding. If you’d like to attend, please RSVP to Danielle@ethiopianorphanrelief.org and I will provide you with directions to my home. 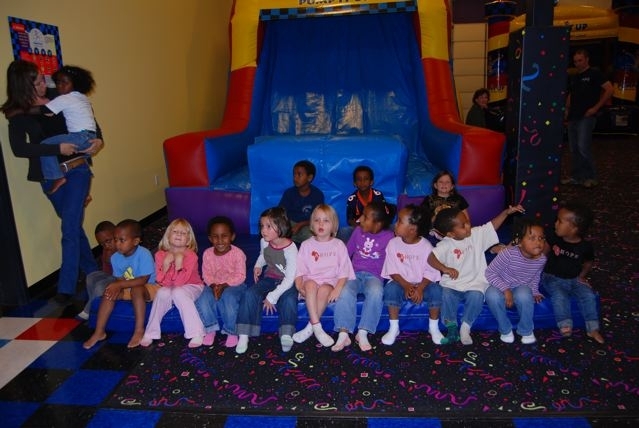 “Dancing Spider” Fundraiser a Success! A HUGE thank you to the middle school drama students and the drama teacher, Ms. Katie Bradford, at Denver Academy. The students chose to add a matinee fundraiser performance of their spring musical, “The Dancing Spider,” to benefit EOR’s Children’s Heaven building project. The students also donated to EOR’s Children’s Heaven fund in order to “dress down” at school in the days leading up to the performance. The students raised $1368.81!!!! The play was fantastic–my uber antsy 2.5 year old sat still and paid attention for the entire thing! She loved the African songs, dancing and fable woven throughout the play. The kids presented me with a “big check” they had made at the end of the performance–I was so, so, so proud of them. Great work Denver Academy and Katie Bradford!!! Thank you!! Have you been thinking about getting a new family photo? If so, we’ve got a deal for you! The very talented Angie Buckley has offered to not only discount her sitting fees for our readers, but also donate HALF of those sitting fees back to EOR! For $295 you will get an initial consultation where Angie calls you to learn more about your family and what you have in mind, a 1-2 hour photo session and a personal meeting to review the proofs–where she’ll even help you figure out where in your home to best display your new photos. Angie is based in Colorado, but will travel anywhere. Angie specializes in lifestyle portraits of children and families–and are you ready for some name dropping? She actually photographed Denver Mayor John Hickenlooper’s family for their Christmas card last year. Angie’s goal is to tell a story through a combination of formal portraits and candid, journalistic photos. Her inspiration comes from the people she photographs-the curiosity of a child, or the genuine affection between members of a family. Thank you Angie for this generous donation, and readers, please mention you’d like the “EOR Special” when making your appointment to receive the discount (and for EOR to receive the donation). All photos copyright Angie Buckley Photography. After being home with our son Ezra for just over six months, I thought it would be a good time to review and discuss some of that parenting/international adoption books that have been helpful for our family both as we prepared to travel and since he’s been home. First of all, if you are waiting to be matched or go pick up your child, READ ALL YOU CAN NOW! As most parents have found, reading books is one of those things that can be difficult when you have a little one in the house. I also found that during the long wait for a referral , court, birth certificate, etc., it was great to have lots to read to keep my mind off the waiting. In terms of books about international and transracial adoption, by far my favorite is Parenting Your Internationally Adopted Child by Patty Cogen. It came out in 2008 and is by far the most international-adoption-specific book available. It has great tools that can help families from “your first hours together through the teen years.” Cogen adopted her daughter from China and has led groups for families with internationally adopted children for years. She coins her approach “proactive parenting” and discusses ways parents of internationally adopted children can nurture their child’s identity, connection, and resiliency. She gives hands-on tools throughout the book that are appropriate to different stages of development and also uses a fictional group of parents/children to illustrate some typical issues faced by internationally adopted kids and to show how these tools can help. I found Cogen’s book much more useful than Deborah Gray’s books Nurturing Adoptions or Attaching In Adoption, which while they are helpful, seem to be more relevant to foster adoptions. However, the latter two books do go into the science of attachment and attachment disorders in a way that I find fascinating. Also, there are sections in Gray’s books that deal with grief, trauma, loss, cultural change, race, getting medical diagnoses, working with mental health providers, etc. Some good books that are specific to transracial adoption are In Their Own Voices by Simon and Roorda in which transracial adoptees tell their own stories. I think this is an essential book to read if you are considering a transracial adoption. Also, Jaiya John’s Black Baby White Hands, about his experience as a transracial adoptee in the 70s in New Mexico, is very enlightening. I know there are other great transracial adoption books out there, so please feel free to list your favorites in the comments section on this blog post. I also loved I’m Chocolate, You’re Vanilla, “Raising Healthy Black and Biracial Children in a Race-Conscious World” by Marguerite Wright. In terms of general parenting books, some I like are Parenting from the Inside Out, “How a Deeper Self-Understanding Can Help You Raise Children Who Thrive” by Siegel and Hartzell, Unconditional Parenting by Alfie Kohn, and The Science of Parenting by Margot Sunderland. Of course, all of Dr. Barry Sears books like The Baby Book and Attachment Parenting are great resources. I think Alfie Kohn’s thoughts on unconditional parenting (a parenting approach based on unconditional love and not on reward and punishment) are especially relevant to parenting adopted children. He cites copious amounts of research that call into question many parenting styles that have become popular today but that aren’t based on any research and may in fact be quite detrimental to children’s psycho-emotional development. The Science of Parenting also looks at brain development and current brain research and how that can inform our parenting in such a way that we raise happy, emotionally balanced children. I hope you have found these suggestions helpful. Again, feel free to add your own recommendations to the comments on this post. Happy reading!!! 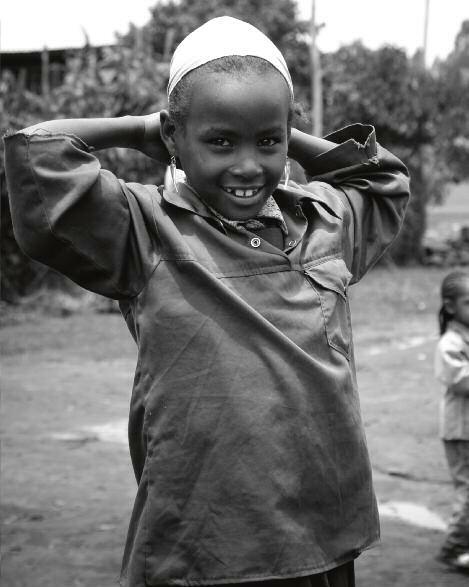 Art for Ethiopia 2008–A Smashing Success! Art for Ethiopia, our fundraising art sale/auction for Children’s Heaven that was held this past Saturday, November 8th in Denver was a SMASHING success!!! Not only was the event attended by hundreds of people, but we were able to exceed our own fundraising expectations and raise over $12,000!! Hanna Fanta, director of Children’s Heaven, was moved to tears when she found out how much people contributed towards her project of building a permanent community center for her girls’ programs. We were also moved by everyone’s generosity as well as the time commitment, enthusiasm, and dedication shown by the volunteers and board members who made the event happen. Special thanks to Tracy Stevens for planting the seed of inspiration that blossomed into this amazing event. Also thanks to volunteers Shawn Rodda, Emily Barr, Katie Bell, Becky Mitchell, Greg Cradick, Valerie Photogoddess, Jasmine Champion, Ellen Yeiser, Lisa Wells, Katie Bradford, Heidi, and Hanna Fanta for all you did!! And thanks to Board members Dawn and Paige for travelling out to the event. It was great to have you here! Asefu H/Mariam, age 11, lost both her parents and she now lives with her aunt. happy. She wants to be a teacher. when she was seven years old. She did not get any help to cope with the tragedy. Bethlehem has aggressive behaviour because of the incident. She wants to be a pilot. take care of her. She wants to be a singer. As you may have heard, EOR is planning its first annual “Art For Ethiopia” event on November 8, 2008 in Lakewood, Colorado at Flash Gallery (see previous post with flyer info included). In addition to some amazing art from artists all over the country, we’ll be hosting Hanna Fanta, founder of Children’s Heaven, at the event. The proceeds from the art sale will benefit Children’s Heaven to help with their goal of building a new facility for the girls. 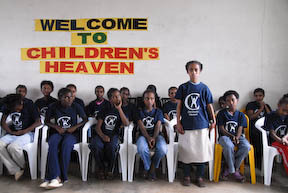 Hanna created Children’s Heaven to meet the needs of so many adolescent girls in Addis who have lost one or both parents to HIV/AIDs. These girls are in a very vulnerable position in the culture and Hanna’s vision is to support them emotionally, spiritually and academically so that they can thrive and have a secure future. Currently, Children’s Heaven is renting a temporary space and also has a makeshift tarp shelter that they have also been using for the girls’ classes and activities. 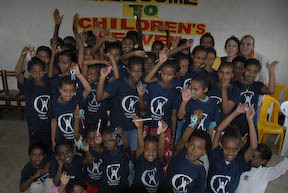 I had the priveledge of visiting Children’s Heaven this summer while I was in Ethiopia and it was a wonderful experience. Hanna and the girls had organized an entire afternoon program for us with speeches by each girl, singing, dancing and a coffee ceremony. It was a moving and powerful experience and we were struck by the girls’ dedication to their education as well as their hopes and dreams for their futures. We brought them some small trinkets as gifts and were amazed that all the girls preferred special pencils to fancy, glitzy hair ties. This spoke volumes about their committment to education and learning. I am including some pictures here of the girls at Children’s Heaven that we took during our visit there! Please come out to support our event if you are in Colorado and feel free to send art/donations as well.